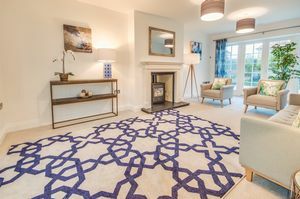 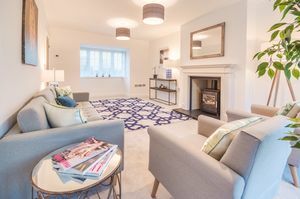 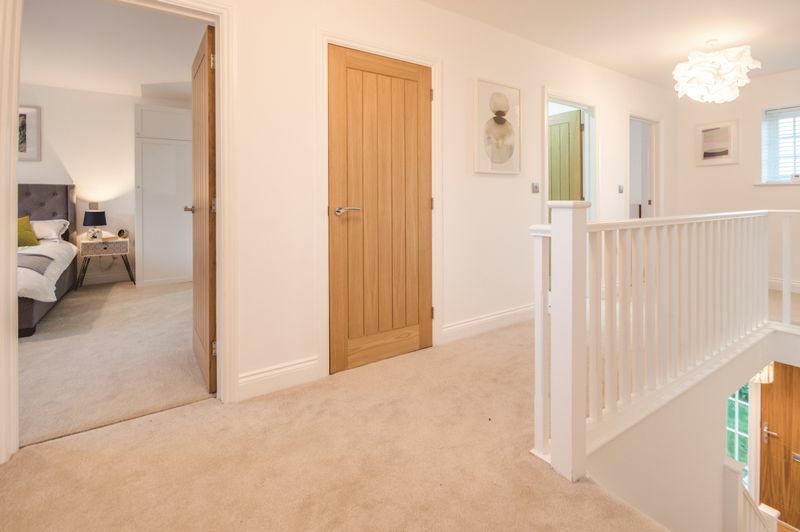 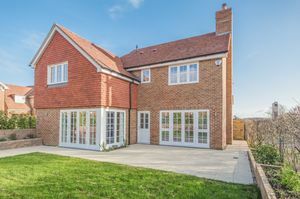 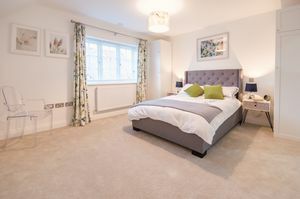 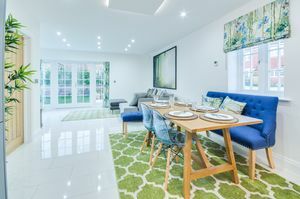 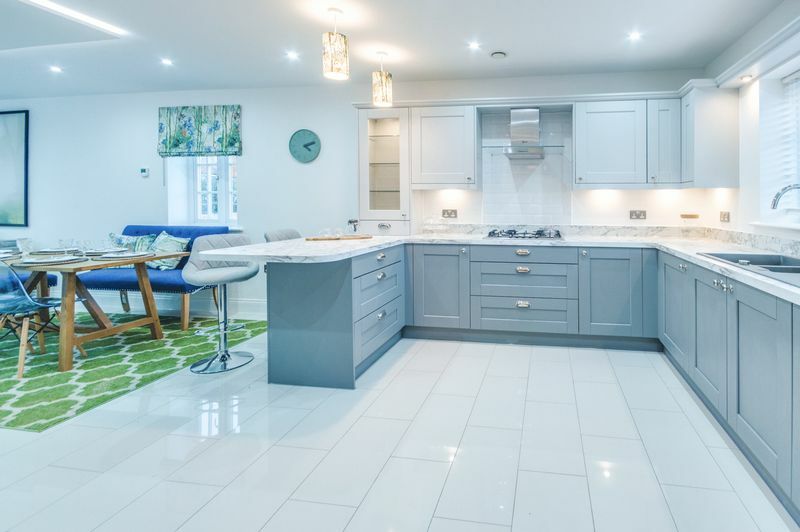 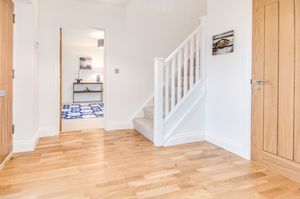 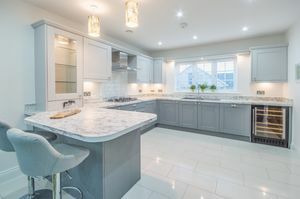 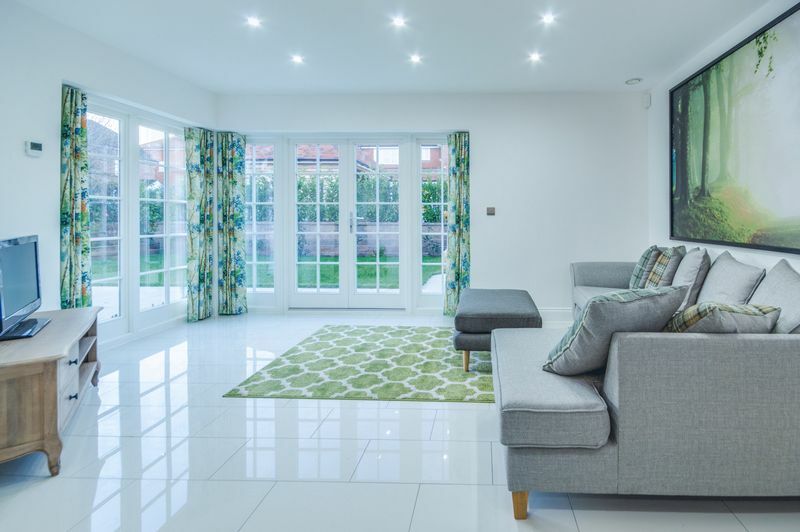 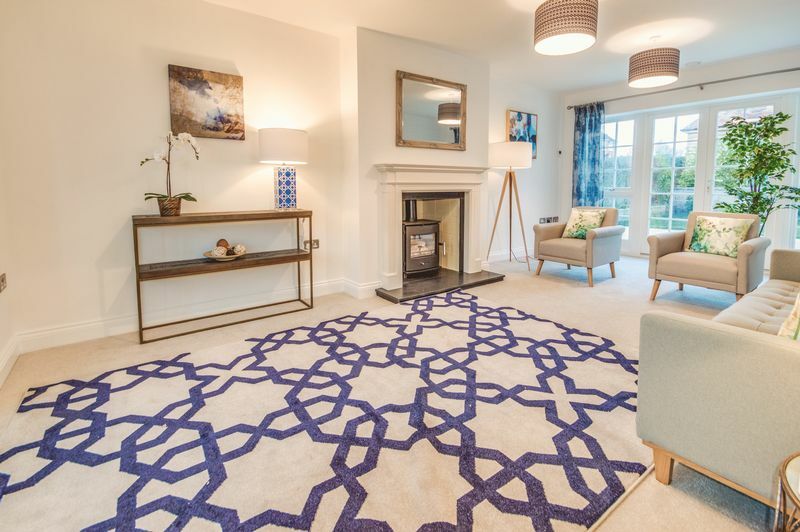 Appledore includes a large reception hall and spectacular kitchen/dining room comprehensively fitted with a range of integral appliances and being open-plan to the family room at the rear which in turn has French doors overlooking and opening onto the garden. 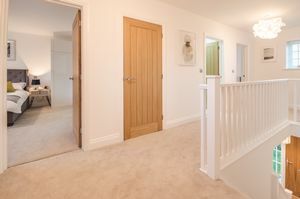 The separate sitting room has a dual aspect front and rear and also features French doors opening to the garden. 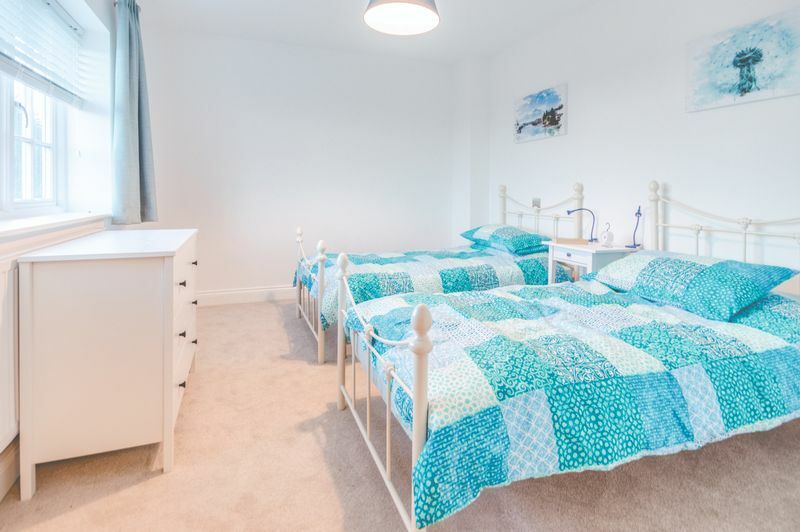 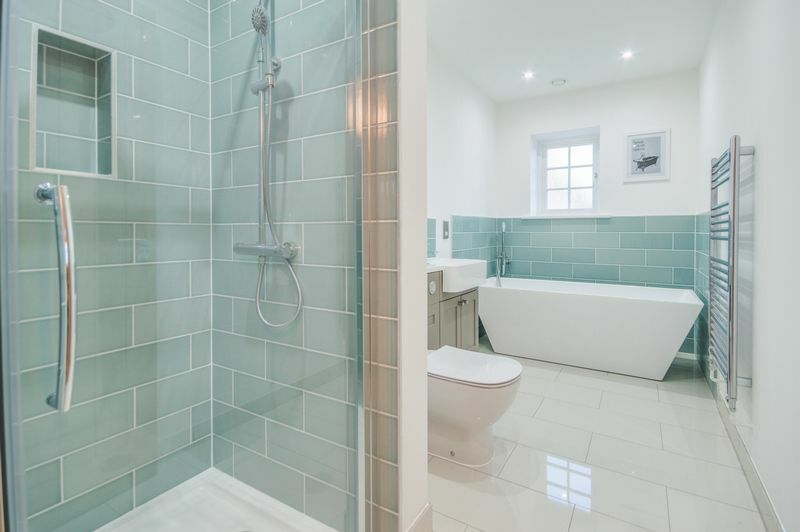 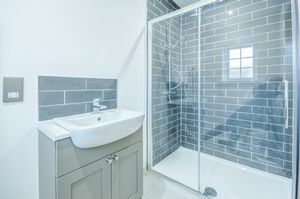 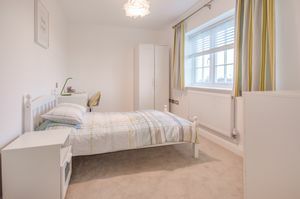 There is a useful utility room and separate w.c. On the first floor the master bedroom has an ensuite shower room, there are three further double bedrooms plus the family bathroom and large landing. 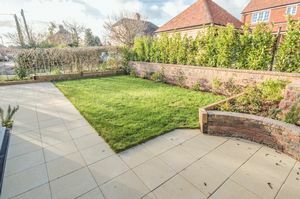 To the rear garden has a paved seating area onto lawn with raised beds behind timber and decorative stone retaining walls. 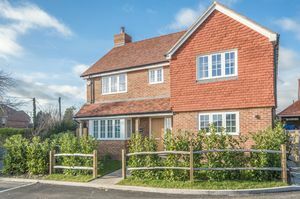 There is Laurel hedge to the boundaries and gates giving pedestrian access to the side. To the front is lawn with further beds and Laurel hedges. 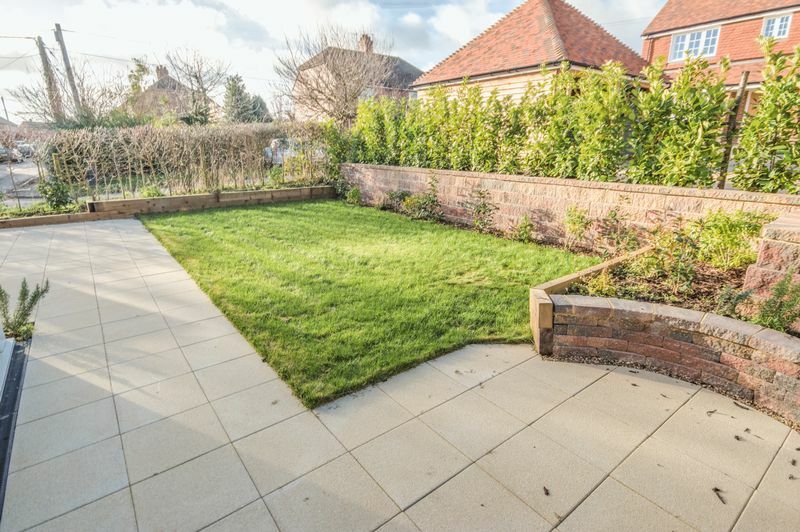 There is post and rail fencing and a brick paved path leads to the front door. 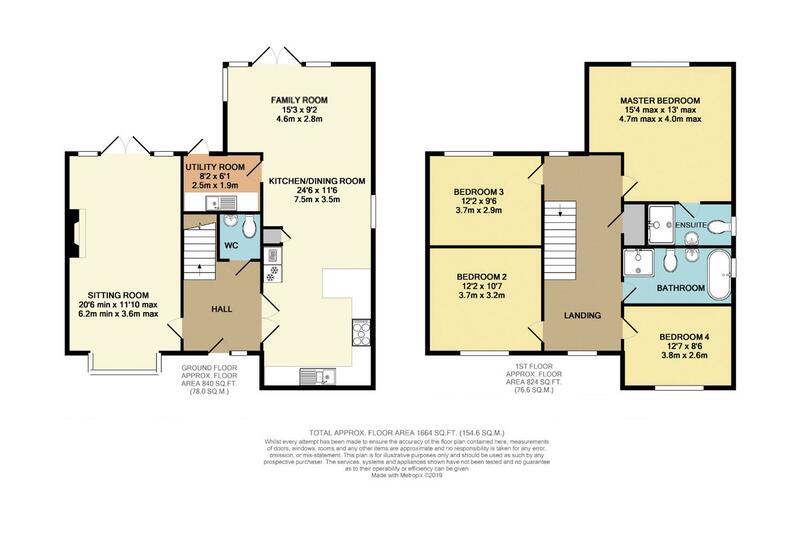 To the rear is allocated parking in the carport plus one additional space.